Fundrise Review: Can You Really Make Money? Fundrise Review: Is It Legit? Make passive income by investing in real estate. Fundrise lets you get started with as little as $500. But is there a catch? We answer all your questions in our guide. Commercial real estate investing can be a lucrative way to expand your portfolio and potentially increase your earnings. Over the last 30 years, real estate has performed better on average than the stock market. Fundrise offers a way for the "average" person to invest in real estate with $500. But is it right for you? Fundrise is a real estate crowdfunding platform that allows you to pool funds with other investors to purchase real estate. The platform is open to U.S. residents who are 18 years or older. The minimum investment is $500. Fundrise's main products are eREITs (electronic Real Estate Investment Trusts) and eFunds. eREIT: A REIT is a real estate investment trust or a company that acquires, manages, and disposes properties. The trust obtains the funds to do this from crowdfunding. Fundrise's eREITs are not publicly traded, so they are less liquid than traditional REITS. eFunds: This electronic fund is exclusively through Fundrise. It's a professionally managed, diversified portfolio of residential real estate assets. Buying undervalued real estate, and then renovating the property to raise the rents or property value. Collecting rental income on stabilized properties. Holding mortgages and collecting interest. Acquiring properties that have potential to appreciate in value. The profits are then distributed to the shareholders. For more details, check out the Fundrise website. Diversified portfolio of projects across the U.S.
Tax liability. You'll have to pay regular income tax on your earnings. Follow these simple steps to begin investing with Fundrise. First, you'll choose a portfolio (Starter, Core, or Advanced). Read more about these below. The proces takes 10 minutes and requires some personal information like your name, address, phone number and Social Security number. You can link a checking account to your Fundrise account or set up a wire transfer. 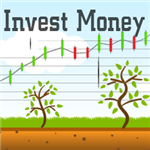 It may take several days for your account to fund and for you to be able to start investing. Fundrise uses bank-level security to keep your personal information safe. These measures include 2-factor authentication, AES bit symmetric key encryption, and Transport Layer Security (TLS). In terms of its offerings, Fundrise's portfolios are made up of qualified offerings regulated by the Securities and Exchange Commission (SEC). They must follow strict reporting requirements. So you get the same sense of transparency as required for public companies. But all investment carry risk. Fundrise has done well since its establishment, but there is no guarantee it'll continue to do so. You Should Know: Typically, real estate investments are made through taxable accounts, which require you to pay income tax on your earnings. Fundrise's IRA provides a tax-efficient way to invest in real estate. Quarterly dividends: This is the rental income generated from the properties. You'll typically receive dividend distributions a few weeks after the end of each quarter. You can either choose to get your dividends directly deposited into your bank account or have them automatically reinvested. Appreciation in value of your shares: You'll receive proceeds when the property is sold. Appreciation is only paid at the end of the investment - this can take a few years. This is why Fundrise is seen as a long-term investment - typically 5 years. The investment is rather illiquid, which means you can't sell easily. However, the platform does offer a quarterly redemption plan. Fundrise disclosed its performance for the past 5 years. See screenshot below. As always, past performances doesn't guarrantee future returns. It's important never to invest money you can't afford to lose. Your earnings with Fundrise are taxed as ordinary income. There are other potential costs that are not very transparent. Fundrise charges a 0-2% acquisition fee when they buy a new asset. And there may be hidden fees within the specific eREITs you choose. You may not realize the depth of the fees unless you sit down and read the few hundred page circular that comes with each investment. With Fundrise, there is no middleman. You invest in eREITs directly through the platform. That means you save on broker fees. Investors have several choices when investing with Fundrise. 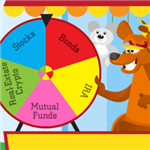 Each portfolio diversifies your funds differently, based on your goals. You get a diversified portfolio of 5-10 real estate projects throughout the U.S. This plan has a 90-day money back guarantee. Fundrise 90-day money back guarantee. You have 90 days to test out the Starter account. If you decide you aren't comfortable with this investment vehicle, request your money back within the first 90 days. Fundrise will buy your investment from you for the amount you paid. With $1,000, you can upgrade for free to any one of the 3 Core plans. You'll get greater diversification across 40+ projects. Pick the one that best fits your financial goals. Supplemental Income: Focusing on properties that generate cash flow (collecting rent or interest). You will receive more dividends. Balanced Investing: A balance of income and growth properties. You receive returns through both dividends and appreciation. Long-Term Growth: Focusing on properties expected to appreciate in value. You'll receive less dividends now, but the potential returns could be the highest in the long term. This highest tier plan offers diversification across 80+ projects and a more sophisticated strategy for potentially higher returns. Fundrise is a long-term investment - typically 5 years. Its eREITs are not publicly traded (unlike traditional REITS). So you can't just sell your shares and withdraw the funds anytime you want. But the platform does have a redemption plan that allows you to redeem your shares 4x a year (at the end of every quarter). Based on how long you've held your fund, you may incur up to a 3% penalty. But this does give you some flexibility if you want to sell. To do this, you must submit a redemption request. Go to your "Settings" and then "Account Settings." You can find the form at the bottom of the page. 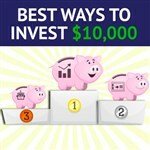 Fundrise reviews thousands of real estate investment opportunities and only selects the best. According to the company, less than 2% of projects get chosen. Real estate companies submit projects to Fundrise. Fundrise conducts a basic screening to ensure it's up to Fundrise's standards. If the project passes, Fundrise approves and acquires it. Fundrise recently released a mobile app for iPhone. The app for Android is currently in the works. There's one major difference between Fundrise's eREIT and a standard REIT—liquidity. A traditional REIT is traded on the public market, which means you can sell at any time that the stock market is open. An eREIT is not traded on the public market and requires a long-term investment because it's illiquid. Fundrise is a platform for the average investor with a small amount of money to invest. PeerStreet is for the high net worth investor with a lot of money to invest. Fundrise doesn't require you to be an "accredited investor," whereas PeerStreet does. As a tradeoff, PeerStreet offers bi-monthly distributions, whereas Fundrise offers only quarterly distributions. RealtyMogul's platform has opportunities for both accredited and average investors. If you're non-accredited, you can invest in their REITs with a minimum of $1,000. For the accredited investors, you can invest in Realty Mogul LLC shares, or real estate loans or debt. Rich Uncles focuses more on collecting rent and paying monthly dividends. Fundrise also has growth properties for more long-term growth and returns. Rich Uncles requires a minimum $500 investment for its National REIT. You'll also need an income of $70,000 AND a net worth of $70,000. 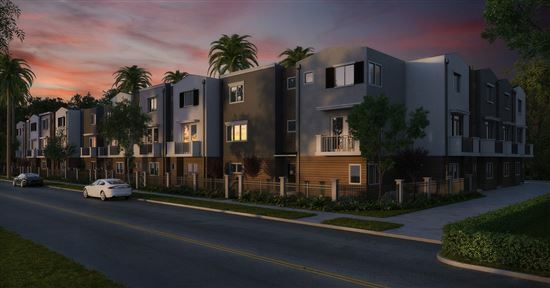 However, the platform also offers a Student Housing REIT with no income or net worth requirements. You can start investing with just $5. While this offering may appeal to beginning investors without a lot of capital, the investments are more limited. You Should Know Rich Uncles only choose commercial projects with 50% equity and recognizable big-name tenants. Fundrise has more developing projects. Fundrise lets you invest in real estate without taking a large risk or putting a huge burden on yourself. Because it's a long-term investment, though, you should give this investment careful thought. Can you tie up your money for the next five years? There's no guarantee you'll be able to access it any time before that. If you're willing to tie up your money up and start small, Fundrise diversifying into real estate through Fundrise might be worth the investment. Disclaimer: The information contained herein neither constitutes an offer for nor a solicitation of interest in any securities offering; however, if an indication of interest is provided, it may be withdrawn or revoked, without obligation or commitment of any kind prior to being accepted following the qualification or effectiveness of the applicable offering document, and any offer, solicitation or sale of any securities will be made only by means of an offering circular, private placement memorandum, or prospectus. No money or other consideration is hereby being solicited, and will not be accepted without such potential investor having been provided the applicable offering document. Joining the Fundrise Platform neither constitutes an indication of interest in any offering nor involves any obligation or commitment of any kind. Leave a comment about Fundrise Review: Is It Legit?